I have a few things I would like to trade. I don't need anything specifically, what ya got? 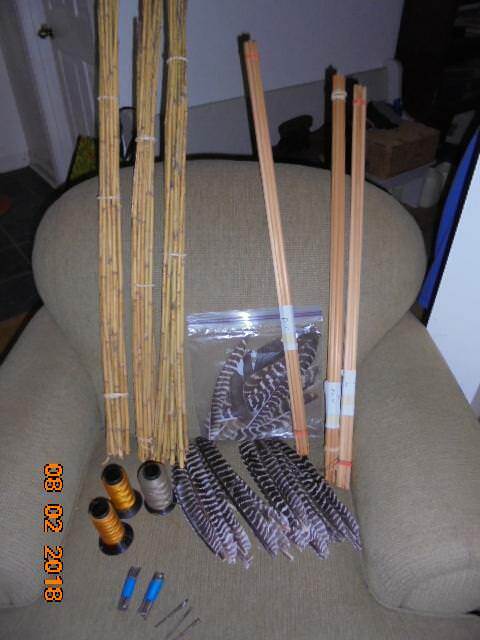 3 bundles of hill cane, 15 canes per bundle. 3 partial spools on B-50 string material. about 25 cut nails(2 1/2" long) from a house built in the 1940's. These sparked when pulled with a hammer. Assorted wild turkey feathers; primary, secondary, tail, some full feathers, some split(most not shown). Cut nails must make good target points?